Even though we have access to Streaming sticks and Smart Televisions, smartphones occupy a special place in our hearts. The main reason is that you can carry the device wherever you go and navigate not only Live TV programs but also free movie apps. You can easily watch TV programs including free movies even while you can inside a speedy train. In this article, we list the top 6 best free movie apps for iPhone and iPad. You will be able to install the free movie apps for iOS platforms. 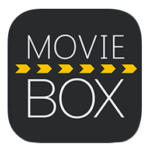 The Showbox app is one of the most popular free movie apps for the iOS platform. You should note that Apple removed the app from the store due to reasons unknown to us. The app includes a wide range of TV shows, soap operas and free movies. The advantage of Showbox app is that you can search and download movies and watch them offline without any active Internet connectivity. Moreover, the app is compatible with all iOS devices with regular updates. To work with Showbox app, you need to install vShare app on your PC and connect the iOS device. The app will launch automatically and you will be prompted to verify the security restrictions. You need to search for the presence of the Showbox app inside the vShare to complete the installation process. The app will launch as soon as you finish the installation to enable you to search for movies, TV shows and other content. Tubi TV enables you to watch movies and TV shows without any subscription charges. You can watch a wide range of streaming video content produced by MGM, Lionsgate, Paramount and others. The app also offers content based on exclusive categories such as Not On Netflix, Highly Rated On Rotten Tomatoes free of cost. 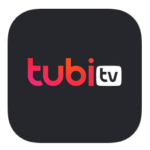 Moreover, the Tubi TV provides access to Oscar award-winning films and TV shows across 40 genres such as action, drama, comedy, horror, classics, reality shows, family and kids. The disadvantage of the app is that videos will have commercial advertisements, which will offset the monthly subscription charges. With Tubi TV, you can create and manage you own video queue including the ability to watch content from the latest watched position. It is possible to sync between devices such as Xbox, Amazon, Apple TV and Roku. You can also cast the content to your TV via Airplay and Chromecast. The app is compatible with iOS 9.3 and above. 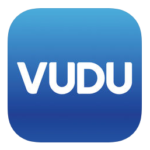 Vudu has an extensive collection of content and is regarded as one of the best free movie apps. You will be able to watch tons of free movies across various categories and TV on the go with tolerable commercials. With Vudu, you can stream content to your iOS gadgets in HDX format. If you have devices other than iOS, you should make use of Airplay. As of this writing, Vudu has over 100,000 titles across all genres. It is also possible to download movies and watch them offline using phone or tablet with the ability to sync your third-party accounts such as Movies Anywhere and UltraViolet. Sling TV is the best free movie apps among tech enthusiasts. You will be able to watch content in a wide range of categories such as kids, news, movies, comedy, sports, lifestyle, health and much more. The app includes 100 live TV channels with coverage of NBA, basketball with 10000+ hours of on-demand movies and shows. You can watch hit shows like SportsCenter, Atlanta even while you are travelling on the train via mobile connectivity. The Sling TV enables you to fetch content from Cloud DVR. The advantage of Sling TV is that you have the freedom to choose channels with the ability to cancel easily. While the Sling Orange service offers 30 channels for $20 per month, the Sling Blue service includes 40 channels for $25 per month. The app helps you to watch ESPN, Disney Channel, FOX, NBX, Cartoon Network, National Geographic and much more. 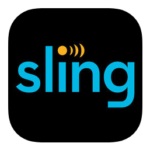 The Sling TV is popular because it is the first app to offer content in 20 International languages such as Hindi, Spanish, Brazil, Abrabic and much more. Furthermore, the app ships with Nielsen measurement software using which you can feed your reviews and ratings. Popcornflix is the best free movie apps available for the iOS platform, which enables you to watch thousands of free movies. In addition to Action, the Popcornflix offers access to thriller, drama, comedy, horror, romance, sci-fi, mystery, family, western, documentaries including exclusive staff picks. You will be able to watch the content in iPhone, iPad, iPod Touch using both Wi-Fi and mobile cellular network. The latest version 4.12 includes analytics update and performance improvements. 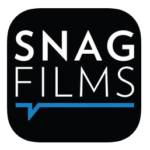 SnagFilms is a popular free movie apps oriented for the iOS devices such as iPhone, iPad and iPod Touch. With SnagFilms, you will be able to enjoy TV shows and full movies. The app will refresh with more than 6000 free movies, documentaries and shows. The app helps you to watch movies loaded under various categories such as action, horror, romance, kids, adventure and much more. 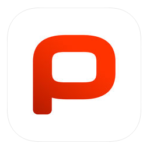 The iOS operating platform provides a wide range of free movie apps using which you can watch streaming content, live TV and movies at any time. The benefit of these apps is that you can watch programs in case if you missed any shows. He ability to download content is a big bonus for movie lovers. If you work with iOS devices, you should install the above apps to experience stunning visuals and useful content. With these free movie apps you will easily enjoy tons of videos on your iOS device. But sometimes accidents happen and cause data losing. 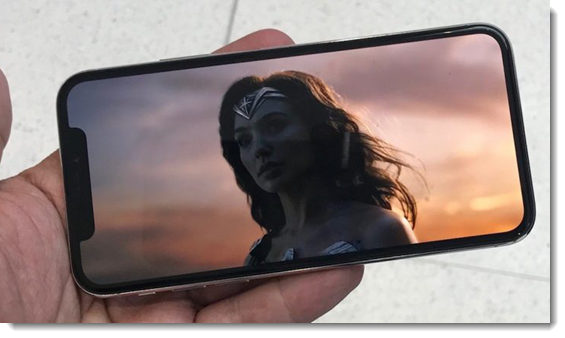 Do you know what to do if you accidentally deleted or lost videos from iPhone? Gihosoft provides this iPhone Data Recovery tool for you to get back deleted videos. You just need to install this software on your computer and follow the onscreen instructions, or you can get more details on How to retrieve deleted videos on iPhone or iPad.